The World Jnapaka is taken from Mahabhasya of Patanjali and refers to those rules of grammar which have been indicated in the Astadhyayi of Panini but not directly mentioned in the sutras. 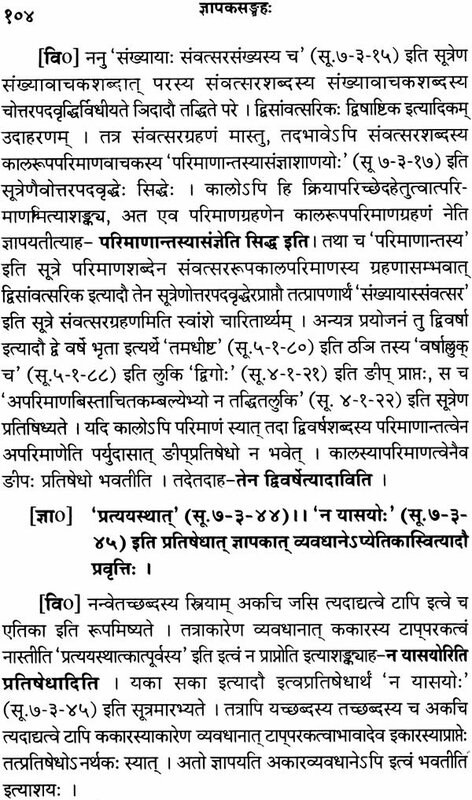 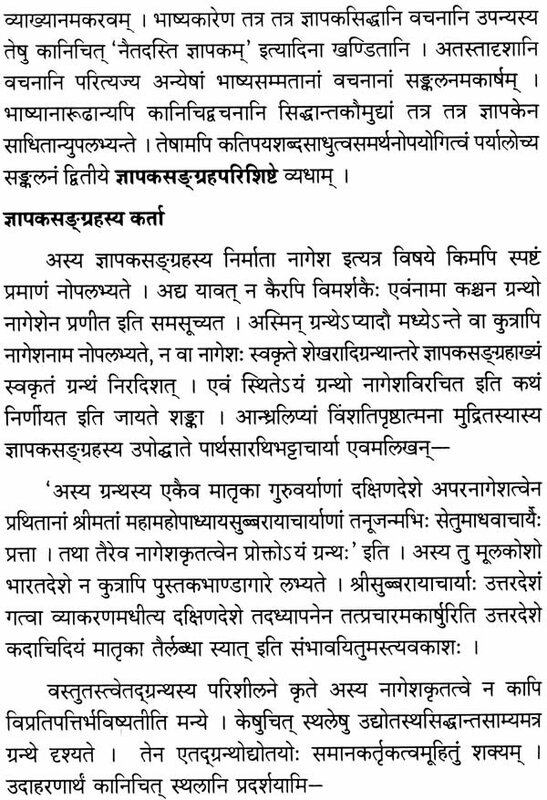 This name is given by Nagesha Batta for such type of Sutas which he has gathered in is work and which supplement in understanding the sutras of Astadhyayi. 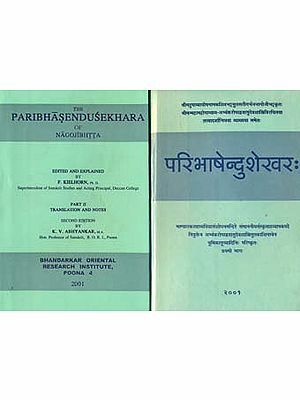 The book, Jnapaka Sangraha was first published in Telugu characters of vidwan parthasarathi Bhattacharya of T.T. 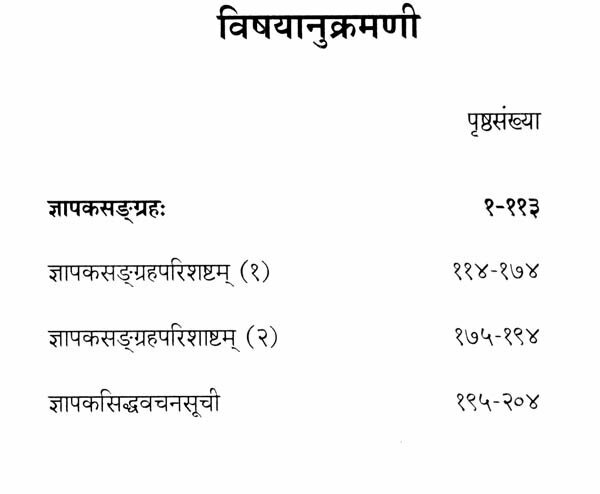 D. in 1922. 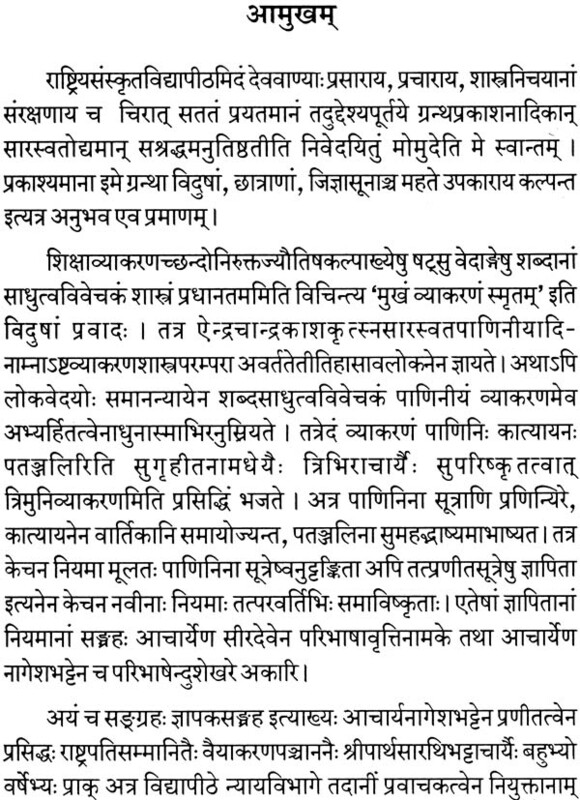 Prof, N.S. 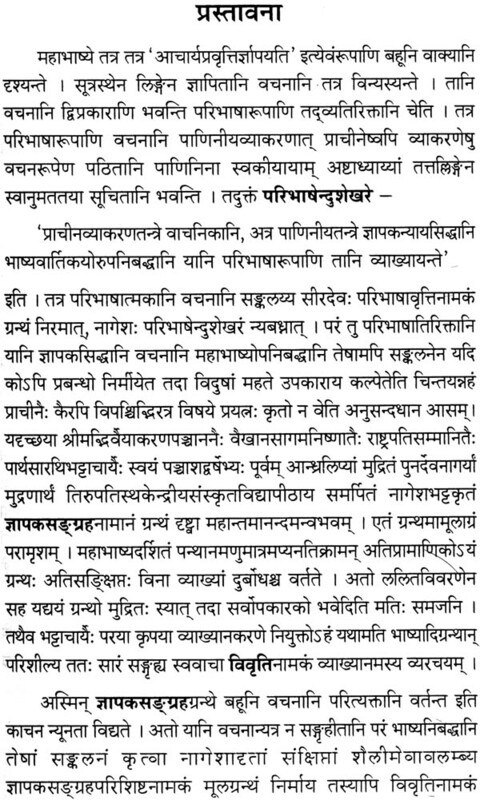 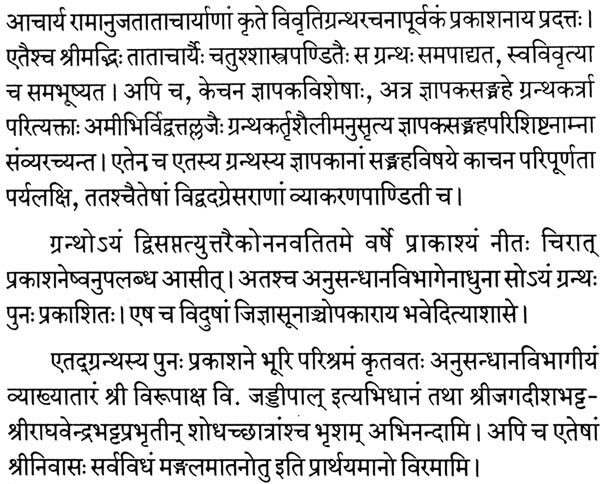 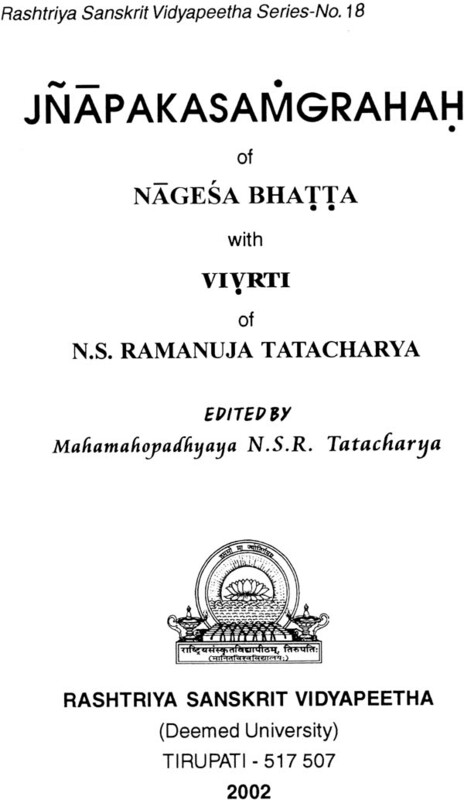 R. Tatacharya, an eminent scholar has w ritten of gloss called vivriti on it and made it available in Devanagari script following the modern principles of editing. 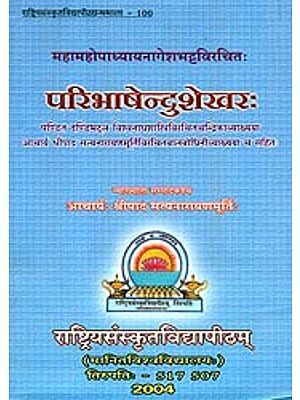 The book is an invaluable work on grammar and would be great help to the scholars of Vyakarana, Students and teachers.